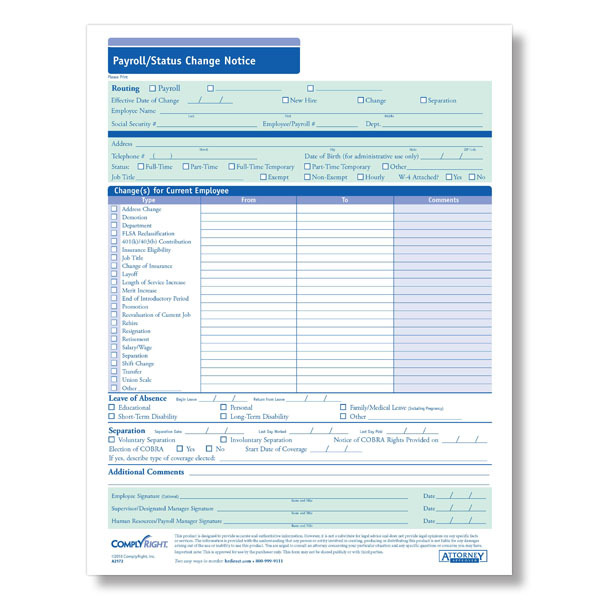 Record changes to employees' payroll status correctly with the Payroll/Status Change Notice. The Payroll/Status Change Notice also documents payroll changes as well as other updates such as resignations, transfers, insurance eligibility and more. Updated to include a new payroll/status change reason "FLSA Reclassification".